"After I finished rocking with both terror and laughter – I forgot to mention the main point: Tenenbom is extraordinarily funny – insight started to trickle in. Read what Tenenbom has to tell us, without bias. We don’t have the privilege not to know." "Tenenbom's riveting tale, chock full of unbelievable and hilarious encounters, is highly engaging and emotional, eminently readable, brutally honest, and likely the most uncensored and eye-opening report readers will see." Alone Among Jews / Catch the Jew! 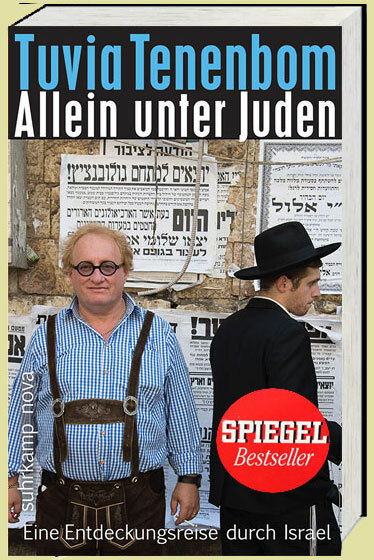 recounts the adventures of Tuvia Tenenbom, who wanders around Israel of our time calling himself “Tobi the German.” In the course of numerous interviews Tuvia extracts information, sentiments, hidden theories and delusional visions motivating the miscellany of peoples forming the present-day Holy Land. Alone Among Jews / Catch the Jew!, the most humorous composition on the Middle East to date, is a polyglot spin around a cultural miscegenation in a very small space. However, its never-daunted author finds that with labneh, strudel, olive oil, apple pie, kebab, rugelach, hummus and schnitzel, a happy tummy can bear us through even the most appalling matters. Except the conclusion. A Four-Month Spiegel Best Seller! "The funniest book ever written about anti-Semitism." Alone Among Jews was published in Hebrew under the title Tfos ta'Yehudi! (Catch the Jew!) in September 2014. Capturing the mind, imagination, spirit and admiration of Israeli readers, Catch the Jew! 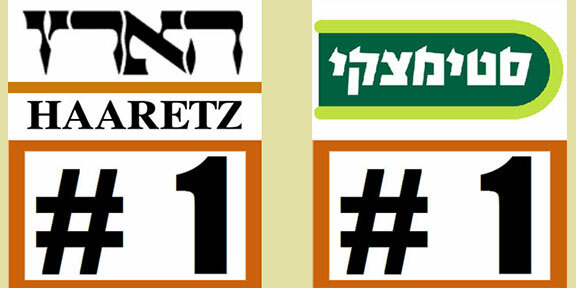 has immediately reached the top of all Israel's Best Seller lists including Haaretz, Steimatzky, Tsomet Sfarim and Yediot Ahronot. 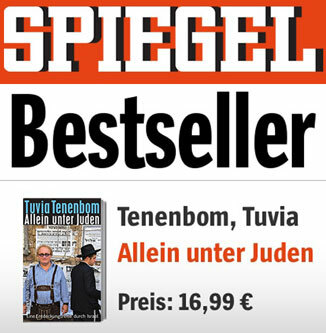 Upon its publication in Germany, in November 2014, the book immediately ascended to the prestigious Spiegel Bestseller list. "It is time to raise this Tenenbom to the stake. I’ve got some friends in Lod who would love to do the black job and drop his dead body in the sands of Rishon." Alona Kimhi (Israeli peace activist and an artist; on the Meretz party Knesset list in the last parliamentary election), as published on her Facebook page. 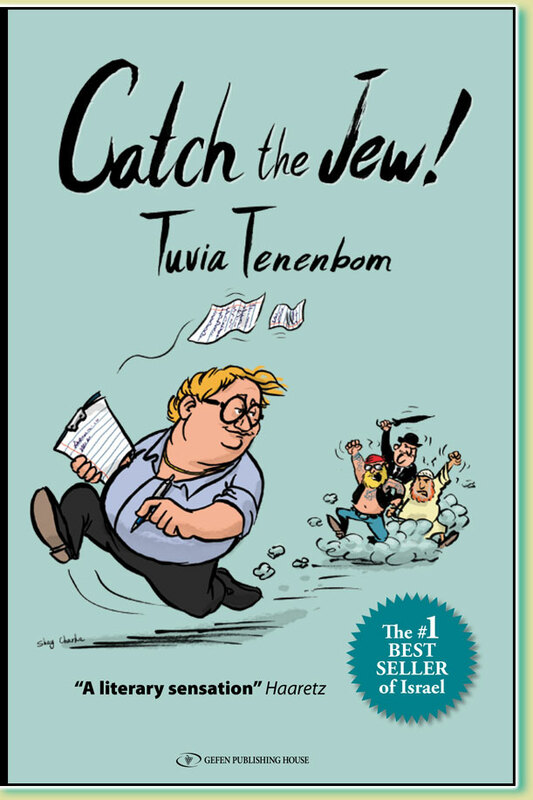 Tuvia Tenenbom and Yariv Oppenheimer, leader of the Peace Now movement, debate the book Catch the Jew! on Voice of Israel radio (Reshet Bet), Channel 10 TV and the Knesset Channel TV; links provided below. 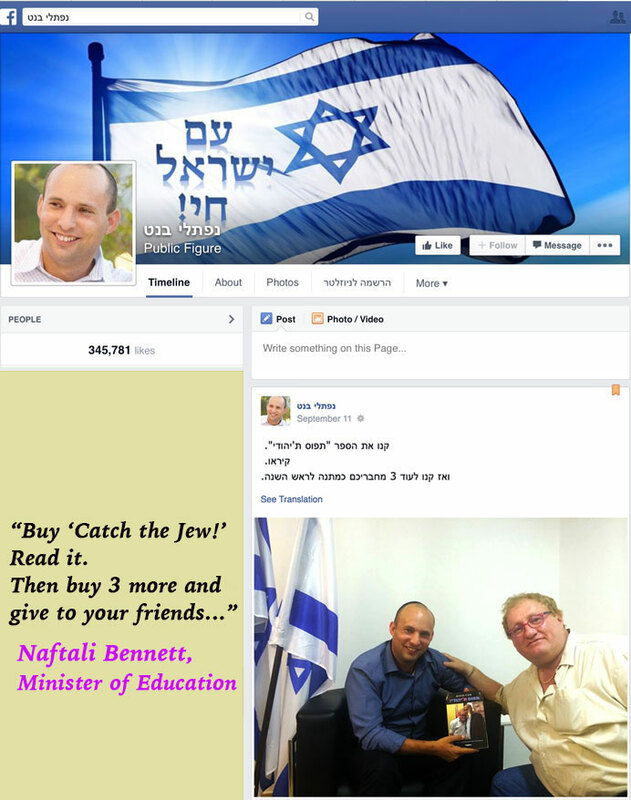 Yariv Oppenheimer: Catch the Jew! is a pack of lies, a pure propaganda pamphlet. Tuvia Tenenbom: This a 400-page book. Did you read it? Tuvia Tenenbom: How could you pass judgment on a book you didn’t read? Yariv Oppenheimer: I don’t want to read it! Period!